Home / Blog / Conferences / Join us at ARCS 2018! 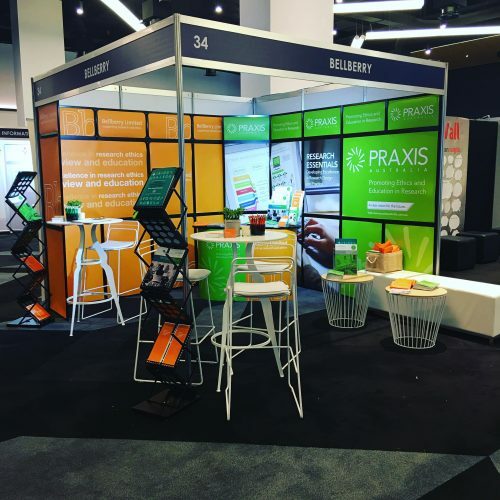 We’re back at ARCS again this year co-exhibiting with our colleagues from PRAXIS Australia. Come and meet the team including CEO Kylie Sproston, Operations Manager Trina O’Donnell, Quality Manager Alison Barr and our two Operations and Support Officers Sally Sims and Tess Penglis. We’re here to answer any questions you may have about Bellberry or anything related to Human Research Ethics or just come and say hi! We look forward to seeing you all here.